There are few things more frustrating when ironing than running out of room on your board. Having to put down the iron and readjust your garment when you know you would have already finished the job with a bigger board can certainly get annoying if it has happened one too many times. 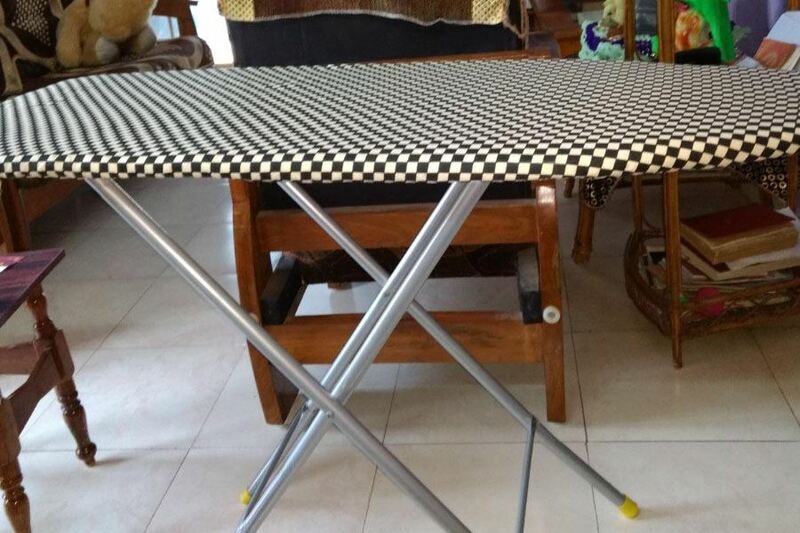 This is why it is a good idea to invest in an ironing board which features a larger surface area, making it far easier for you to get your ironing done in a timely fashion. This ironing board from ﻿Wayne Enterprises﻿ is one of the largest models of ironing board we have ever reviewed. In fact, we believe that it may be in the top five if not the top three of the largest ironing boards we have seen, let alone reviewed. 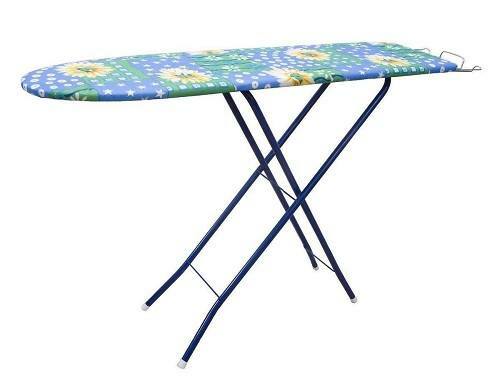 If size in your ironing board is your primary concern, you will find that this product is perfect for your needs. Featuring a cloth cover with varying patterns and a wire iron holder, this product is ready for use as soon as it is delivered. The best feature of this product is by far the extra large ironing surface area. This large size makes this product ideal for working on larger articles of clothing such as robes. The fewer times you have to put down the iron and reposition your garment, the quicker your ironing will be accomplished, so the size of this ironing board ends up saving you time in the long run. In addition to the size, which is quite honestly the main attraction of this product, you also have an iron holder which is made of wire. This iron holder is sturdy, if a little skeletal, so you will be able to position even heavier, old-fashioned irons on it without difficulty. The folding legs also help when it comes time to store this product efficiently. Unfortunately, this product does not feature a clothing rack. While this is not the most unfortunate circumstance, it is still a bit of an inconvenience. The lack of a clothing rack loses you time while you are ironing as you do not have the clothing immediately accessible while you are ironing. Regardless, this product is large enough for you to place a pile of clothes on the side of the ironing board and you would still be able to use it unhindered. 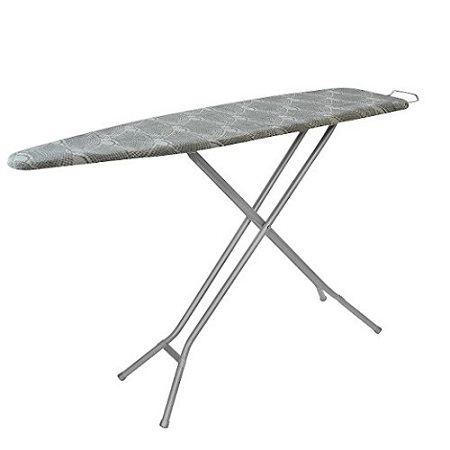 If size is your primary concern in purchasing an ironing board, this model should be ideal for you. If you prize other features such as an included clothing rack and adjustable footpads, you may wish to look elsewhere.